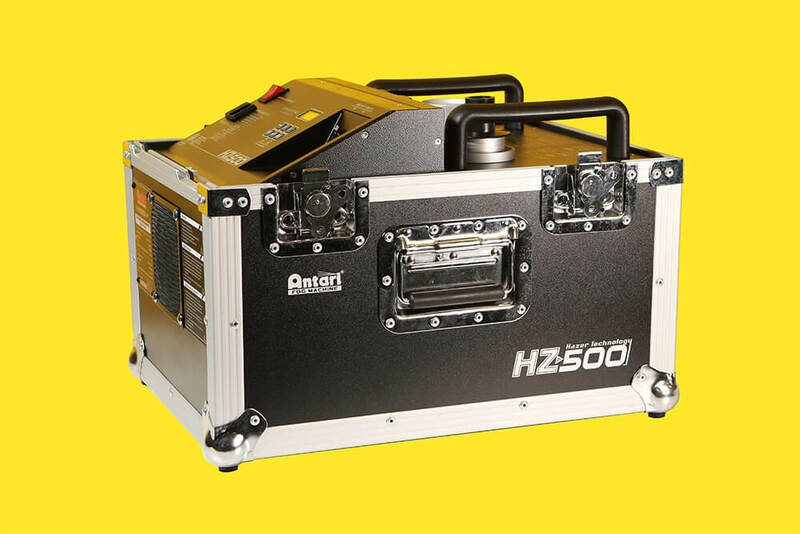 The Antari HZ-500 Hazer is the best choice for all cinematographers, stage designers, performers and audiences who are sensitive to surround settings. The low fluid consumption rate makes the HZ-500 more energy-efficient and more environmental-friendly. The HZ-500 offers a 0.6-gallon tank, low fluid consumption at 1.1 ml per minute, and silent operation. It can be controlled via DMX or directly by using the control panel. The HZ-500 pairs perfectly with our Astera AX1 pixel tubes and is the perfect way to enhance any lighting effects whilst shooting.